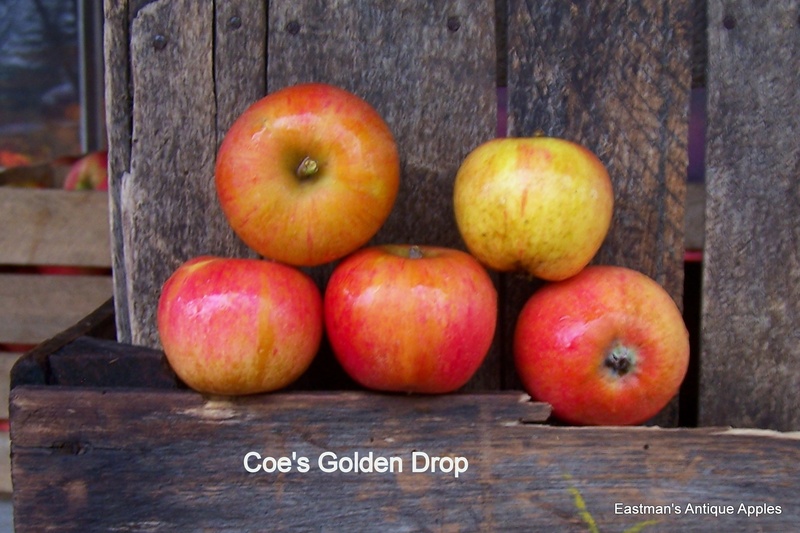 Colwell, Northern Dumpling, Coe’s Golden Drop Apples: does anyone have any information? I am trying to track down some information about three old varieties of apple which have been mentioned to me recently at Apple Days throughout the country. None of these is in the National Fruit Collections, but I have managed to find one or two references to two of them in older books on fruit. I wonder whether any of your readers might be able to help with any more ideas? Colwell. This apparently was much grown around Histon, just outside Cambridge, before the Great War. A recent trip to see various Cambridge orchards unfortunately did not succeed in finding out anything more. The variety is noted in 1948 as being mentioned in ‘Bulletin no. 61’ published by the Ministry of Agriculture and Fisheries, but I cannot locate this. Northern Dumpling. This was mentioned by a visitor to an Apple Day as having been grown by his grandfather in an orchard in lowland Scotland, usually together with Beauty of Moray. I cannot find any snippets about this anywhere: might the name be a synonym? Coe’s Golden Drop. Referred to as having been a hard, small, green, sweet apple, very old, and long lost to view, until re-discovered by the composer Gerald Finzi in an Essex garden in the late 1940s, and subsequently grown again in his own orchard. Does anybody know anything about this? Any information on these three varieties would be very welcome. 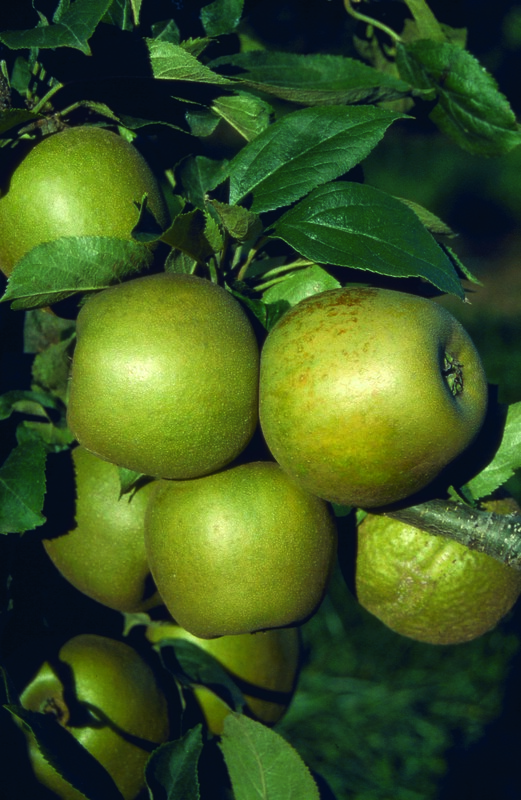 I am trying to find out a bit more about the apple variety Princesse, also known as Princesse Russet. The variety is not held in the National Fruit Collection, but I understand that it is a russetted sport of King of the Pippins. This apple appears to have made it into the commercial world in a small way, being sold at farm shops, etc. However, I have no information about where it arose, when it was introduced, etc. If anyone has any information on this variety, I would be most grateful.